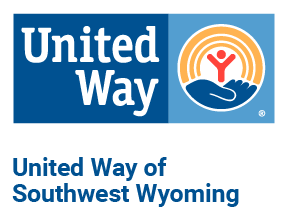 United Way of Southwest Wyoming (UWSW) Community Diaper Bank completed their spring diaper drive throughout Rock Springs and Green River on April 3rd, 2018 with the collection of 3,654 diapers, 2,408 wipes and cash donations. “Under our Basic Needs initiative, UWSW recognizes that diapers are essential to a baby’s healthy development. Stated Shelley Richno, Community Impact Coordinator, UWSW. “The Community Diaper Bank removes one more obstacle that many families have to overcome.” UWSW Community Diaper Bank helps address diaper need by collecting and storing diapers for their community partners to distribute to families experiencing financial hardship. UWSW would like to thank those businesses who served as a drop off location. Green River locations; Sweetwater County Library, Golden Hour Senior Center and Trona Valley Federal Credit Union. In Rock Springs; White Mountain Library, Rock Springs Library, Trona Valley Federal Credit Union, Rocky Mountain Bank, and Coal Train Coffee here in Rock Springs who hosted Our Dipjar for monetary donations. In 2017, the Community Diaper Bank distributed 60,031 diapers in Sweetwater County. This number continues to rise each year. Residents can help by volunteering, donating or hosting their own diaper drive. Families in need can get diapers by visiting the Food Bank of Sweetwater County in Rock Springs or Green River on their distribution days. For more information contact Richno at 362-5003 or by email at srichno@swunitedway.org.